Are you after birth chart astrology 3rd house interpretations? If so, then you have come to the right place. The interpretations below can be used for both Western and Vedic (Kundali) astrology birth charts. 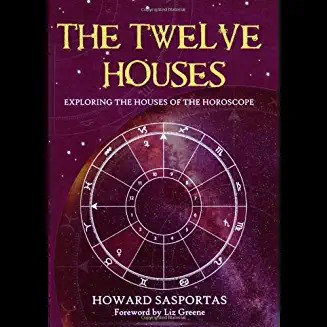 Location on birth chart wheel: It is house number 3. Vedic chart location: It is house number 3, and called Shourya Bhava. Also known as the house of courage. You have a quick, active, and curious mind with a need to learn many different subjects. Speaking comes naturally to you. You are able to express your ideas effectively, and say the right things, at the right times. Education is likely to play an important role throughout your life; however, when it comes to learning, discipline may be an issue. Your siblings or neighbors play an important role in your life. Your mind is full of all sorts of emotions. These feelings have a major influence on the decisions you make. Also there is a tendency for you to daydream. On a positive note, you are very good at talking about your feelings, and putting the feelings of a whole group into words. This ability can potentially make you a very good teacher or spokesperson. You are intellectually curious and have good memory skills. But concentrating can be a problem for you. Any job with too much routine is likely to bore you; there must be some variety. You have a great sense of humor that others find very amusing. Throughout your life you have much activity with brothers and/or sisters. You are witty, clever, and interested in many things; this makes you knowledgeable about many subjects. It is likely you will not become a master of one particular subject, as you are easily distracted and have a short attention span. But you do have the ability to be incredibly adaptable, alert, and versatile. Sometimes you are very talkative and incredibly clever in your use of words. You can express yourself with ease. You may come across as quite nervous or fidgety. Travel may play an important role in your life. You are verbally expressive, and easily win others over with your words. This makes you good at settling arguments between people, and quickly restoring the peace. The ideal partner for you would need to be mentally stimulating, and willing to go out now and again for a change of scenery. Your childhood was a pleasant one. It is likely you developed talents in art or music, or at least were given an opportunity to do so. It is possible you are an excellent writer because of your artistic and creative abilities. You get along with family and relatives very well, but argue if there is something you dislike. You express yourself in an enthusiastic and direct manner, sometimes without considering your words first. Debating is something you love, especially as you know a lot about many subjects. Quite often debating may turn into friendly banter. The aggression you experienced in your childhood encouraged you to defend yourself verbally rather than physically. Careers that would be ideal for you are ones where you are good with your hands, and have manual dexterity; however, it will need to suit your impatient temperament. Your education progresses smoothly, with few problems. You are talented with the written and spoken word. You think everything through very carefully; this also includes the way you communicate, as you are careful with every word that is said. Being a practical person, you usually speak about the ‘real world’, rather than fantasies or dreams. Education may have been an issue for you, especially during school. Maybe there was some kind of delay, or you just had to move regularly. Whatever it was, it made you want to quit education at the earliest opportunity. But later in life you return, feeling disadvantaged by your lack of qualifications. You do actually have a disciplined and versatile mind capable of learning, but due to your circumstances in school, you did not recognise this. The way you think does not suit traditional learning systems that well, which is why school life may have been a struggle. It has nothing to do with your intelligence; your mind just works slightly different than most people. You are original and quick in your thinking, and enjoy new ideas and concepts; in fact, your ideas seem to come through suddenly, like a flash of insight. Anything that restricted your freedom of speech during school may have annoyed you, such as teachers telling you what to say or do. Also, you become bored quicker then most, as you easily loose concentration. However, a majority of the time you could tolerate these situations without causing much conflict. Maybe you handled these situations with your friendly nature and good sense of humor. You may enjoy studying unusual subjects, which you approach in your own original way. If you have brothers or sisters, you occasionally argue with them, or maybe they are just unusual in some way. During your childhood, learning was an issue for you. This is not because you are not clever; it’s just that your mind works different than most people. A majority of pupils at school learn most effectively from logic, facts, and reasoning. However, your mind absorbs information best through learning techniques that involve the use of pictures and demonstrations. This is because your mind is incredibly imaginative and very attracted to things such as symbols, feelings, and images. This is why you make decisions based on feelings, rather than logic. A majority of your ideas are unusual, mysterious, and clever, and usually originate from a particular belief or philosophy. You have an interest in the occult or paranormal, depending upon how spiritually developed you are; there may be the ability to communicate at a distance by supernatural means. Because concentrating can be difficult for you, subjects such as science may not appeal. You either express your opinions forcefully or just keep silent; either way, you still have an impact on people. This is because you project an air of authority, probably due to the way you speak. You also have extremely good persuasive abilities which can be used through the written or spoken word. There is a compulsive need for you to learn; your analytical and probing mind makes you good at deep, complex subjects. Any decisions or ideas you have are normally thoroughly analyzed first. Changing your mind is a difficult task for any person, unless they have sufficient evidence that your viewpoint is incorrect. Sometimes you may dominate a conversation, talking so much that no one can get a word in edgewise. There may have been issues with your family relations or education during childhood. A brother or sister may have been too controlling or abusive, or you may have been very protective of a brother or sister. Did you enjoy these birth chart astrology 3rd house interpretations?